Online4baby is a family run business, established in 1987 which evolved from a large group of retail outlets located in the northwest region. These outlets all sold top-branded, discounted nursery goods to many generations of families (from grandparents, parents and young mums and on a business level; child- minders, nursery groups and foster homes) at the most competitive prices, delivered in the quickest possible timeframe. Based on this simplistic business model, our reputation escalated and our geographical reach increased to areas outside of the north-west. Motivated by the increasing popularity of the company and the internal desire for continuous development to not only reach customers on a local but also national scale, brought about the decision to use eBay as the platform in which to take the company forward. Thus came the formation of Online4baby Ltd in November 2004. With our vastly increased scope for distribution and customers’ constant demands for quality goods at low prices with next day delivery, our story of success continued. So much so, that we introduced our own brand ‘4Baby’ in 2008 - An exclusive range of products, which would enable us to differentiate ourselves from the competition and to reflect our passion for selling quality yet affordable nursery goods. Currently Online4baby has attained well over 255,000 positive reviews, is ranked the No1 Top Rated Power Seller in the UK for nursery products and is the also the largest eBay baby megastore in the whole of Europe. Never content with staying still, Online4baby launched their own website (www.online4baby.com) in 2012, enabling the company to offer customers a greater range of products and brands, but still remaining at the lowest possible prices. Our dedicated sales team are always on hand to offer impartial, honest advice should any of our detailed listings not cover or satisfy our customers’ queries. Each member of the sales team has many years experience in the nursery industry and have all been extensively trained on all products sold, allowing them to offer the most up-to-date, current information on any product within the company’s portfolio, aiming to provide complete customer satisfaction when purchasing those all important items for a growing family. Because of the vast amounts of knowledge and experience built up over the years dealing with customers’ individual situations, requirements and budgets, we are confident that we can offer solutions or impartial recommendations of what product(s) would be most suitable for any given person based on their individual circumstances. Our latest state of the art telephone system allows the customer to select our payment hotline, enquiry line or even just to track a previous order in the most efficient way, even when experiencing large volumes of traffic at those busy periods. Online4baby believe strongly in the benefits “the personal touch” can provide, and in a time where direct interaction between the customer and the company is becoming more and more uncommon, Online4baby strives to make sure that there will always be a helpful and friendly voice on the other end of the phone to answer any questions or dispel any fears one may have before making that all important purchase. 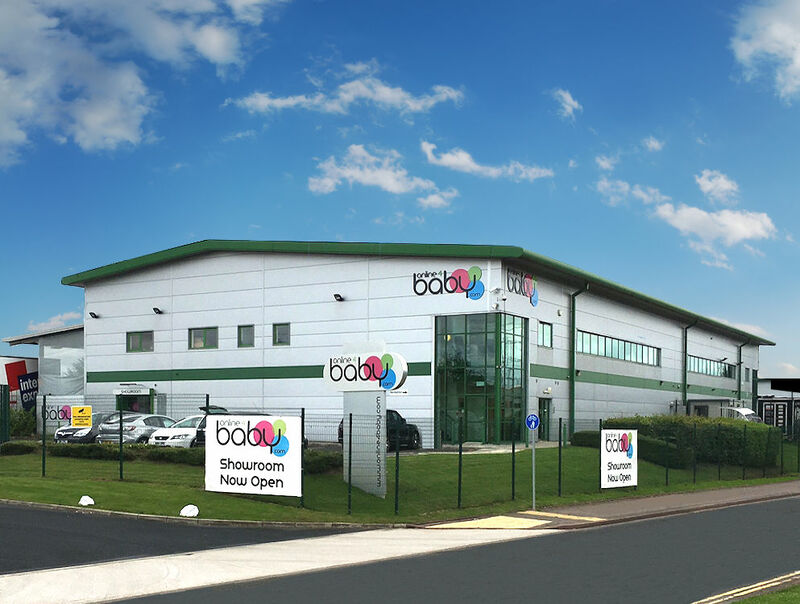 Due to ever increasing demand, Online4baby moved into its purpose-built, North Manchester distribution centre in 2006. 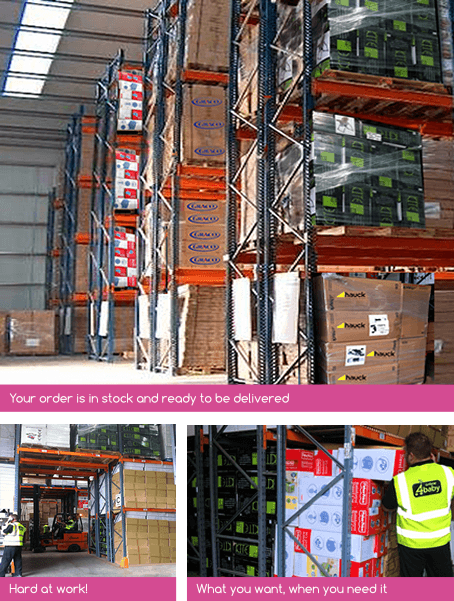 With its 14,000 square feet capacity and 2,128 individual pallet locations, the centre allowed Online4baby to hold vast amounts of stock ‘on-site’, significantly increasing the levels of buying power – resulting in lower prices for customers, but also enabling the company to offer immediate availability and the ‘instant dispatch’ of goods. Our dynamic custom-designed warehouse allows us increased flexibility of our distribution options. We are able to send out individual packages, palletised orders and are also being used more and more as a “drop ship” for other nursery retailers around the country. 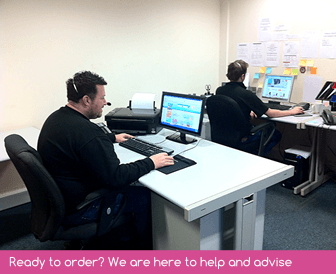 By integrating the cutting-edge, bespoke computer system specifically designed for Online4baby, it was made possible to process an order the moment it is placed so that it can be picked, checked, packed & dispatched all in a matter of minutes with the highest levels of efficiency and accuracy. Once the goods leave the premises and are in the hands of the courier, they are distributed around the country on a next working day delivery service. Due to this efficient process, deliveries have been known to be completed as little as 15 hours from a customer placing an order. As a company, Online4baby has and will always continue to pride itself on its high levels of customer care. For this reason the company offers ‘real people’ to speak to who are both friendly, knowledgeable and can advise on the best route to take for any issue which may arise.Our telephone help line is open Monday – Friday 8:30 – 17:00, where as any ‘out-of-hours’ enquiries can be sent to our 24/7 email support. Where possible, we promise to respond to all emails, faxes, and voice mails within 24 hours of receiving them, always in a polite, professional and courteous manner. On the occasion where an issue cannot be resolved over the telephone, we aim to find a resolution in the quickest possible time frame. In these instances, we understand the value and importance of effective communication, which is why we strive to keep our customers up-to-date and fully informed with any ongoing situation. 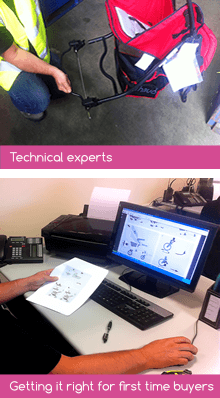 Our dedicated technical department is run by our multi-skilled technical manager who has over 20 years experience in the industry and is considered an expert in the installation, assembly and functionality of all the products on offer. This means that in the unlikely occurrence of a customer encountering a problem with their purchased item, they can rest assured, safe in the knowledge that they will receive the best possible advice available. From the issues dealt with in a set period, the technical team frequently liaises with both the buying team and sales team to provide them with any information which could be valuable in providing effective customer services. Customer’s likes, dislikes, problems and trends are gathered, analysed and can have a direct bearing on future purchasing decisions; making our stock portfolio relevant, appropriate and to the desires of the customer at any one time. Had a issue at first with the basket spoke to the customer service team and resolved issue and sent me another basket, as the palm basket i originally recieved was damaged during delivery, i am now made up with masket and cant wait for my little man to arrive to use it cant comment further as baby is not here yet. Overall lovely basket and rocking stand. Extremely pleased with service. Ordered goods late Sunday evening and everything was delivered as planned on tuesday morning and at no extra charge. Excellent! !